GK and I had prepared for this trip for weeks. 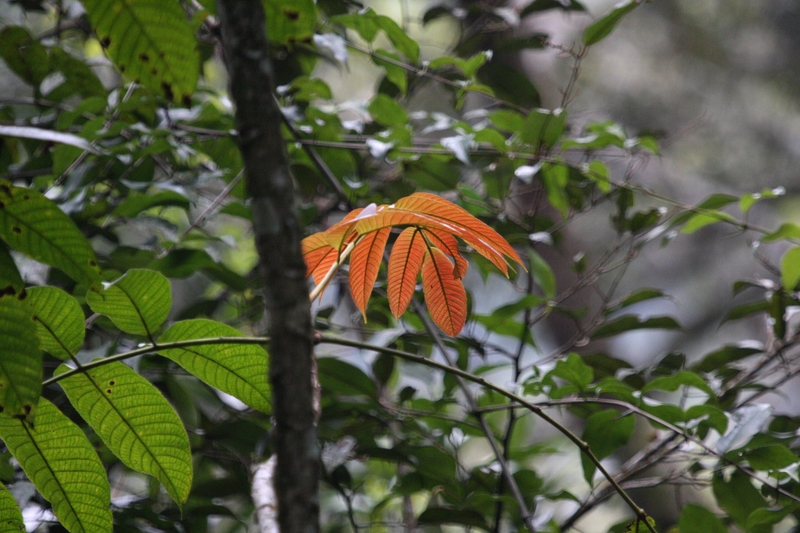 We had spent time compiling lists of endemic or significant species that we wanted to look for, and in checking on what areas and routes to cover (I’ve included the list of target species at the end of this post). However the trip didn’t quite pan out the way it was intended to. The jinx began right from the word go. GK hatched this plan of saving a day by driving the 600-odd kilometers to KMTR overnight. Shortly after reaching the place, I realized that I’d left behind my binoculars, notebooks and torch back in Bangalore. My eyesight being what it is, I was unable to ID a bunch of birds that weren’t close enough. And then we weren’t able to get permission to visit places in the higher ranges – places like Sengaltheri, Upper Kodayar and Kakachi. 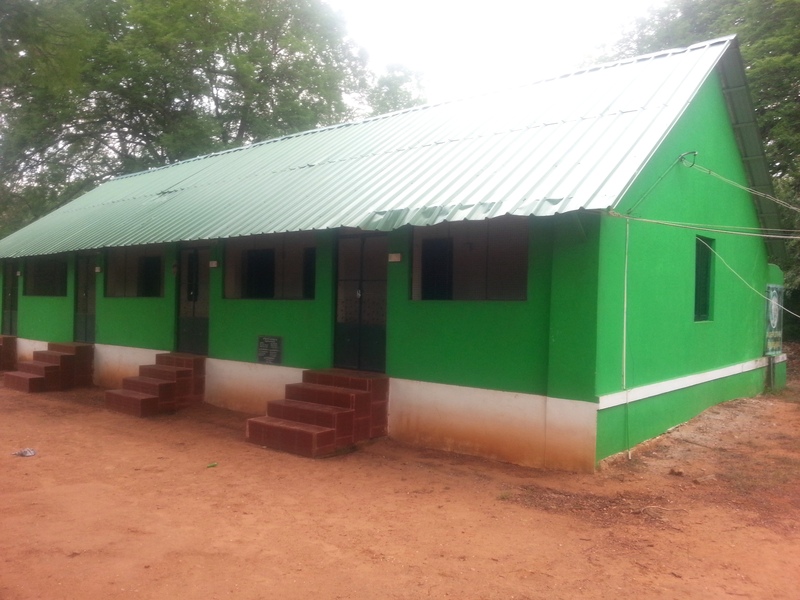 We intended to seek accommodation at the Kuduraivetti or Kodamadi FRHs – these are sited in spectacular locations – but had to be content with being put up at the Talayannai and Mundanthurai RO FRHs located at the fringes of the reserve, and at low elevations. Even these are available only if requested by someone in the FD. A tough new Deputy Director has taken over for the past few months and she has pretty much closed off many areas that were hitherto accessible. We saw several instances of people flaunting various degrees of influence being stonewalled and refused permission. While this effectively hamstrung our trip, it was heartening to see a young officer (this is evidently her first posting) take an uncompromising stand on behalf of our forests and wildlife. May her tribe increase. After a sleepless night spent driving from Bangalore and Chennai, we reached the Talayannai Dormitory near the tiny town of Kalakkad after a short break in Tirunelveli. This is the very same place I’d been to with my sister’s family last year. A short distance inside the reserve lies a small check dam and the resultant waterfall is a popular spot with local tourists, most of whom land up with towels slung around their necks. And understandably so, as the heat of the second summer was oppressive. The FRH lies a short distance from this check dam. The day was squandered in trying to get permission to access the upper reaches of the forest. Fourteen kilometers from Talaiyannai is a place with a spectacular reputation – Sengaltheri. This place is now out of bounds for just about everyone, and we finally gave up all hope of getting access to it after day-long effort. There’s a large dormitory in Talayannai with bunk beds and that’s where we camped for the night. Standing outside the dorm at about 4:30 in the evening, we saw a couple of dhole canter across the road. Grabbing my camera, GK and I hurried after them, but they’d moved on and we got no pictures. There was some birdlife around, but I couldn’t do much without my bins. All we saw was Sambar, bonnet macaques, tufted langurs, Indian giant squirrel, Indian treepie, peafowl, Small minivet, coucal, Magpie robin, White-cheeked barbet, Grey junglefowl and Blue-faced malkoha. And we heard hoopoe, Savanna nightjar and what evidently was the Mottled wood owl calling (the latter two after sundown, naturally). A Changeable hawk eagle called persistently all day; we eventually located it and sighted it a few times. 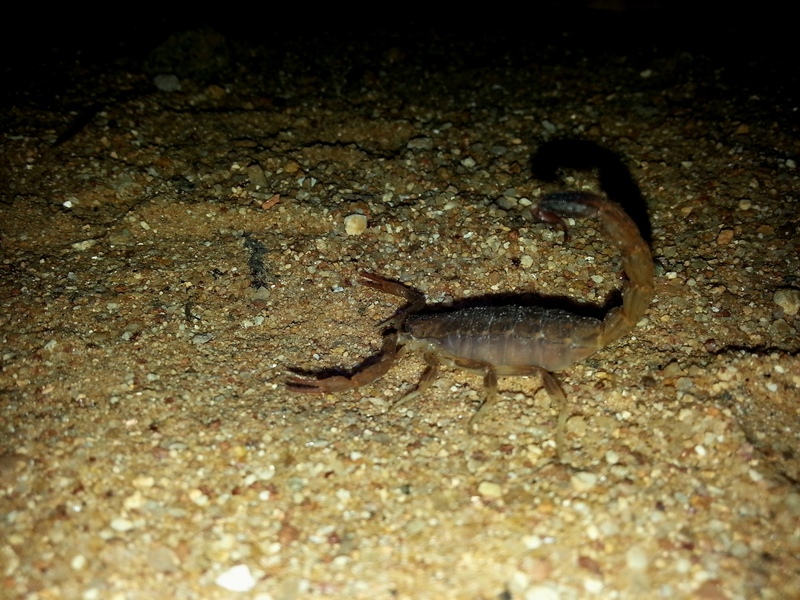 A couple of species of scorpion were met with around the dorm. VR (who is a cop himself) had stumbled across a police inspector in Tirunelveli while searching for KMTR leads online. 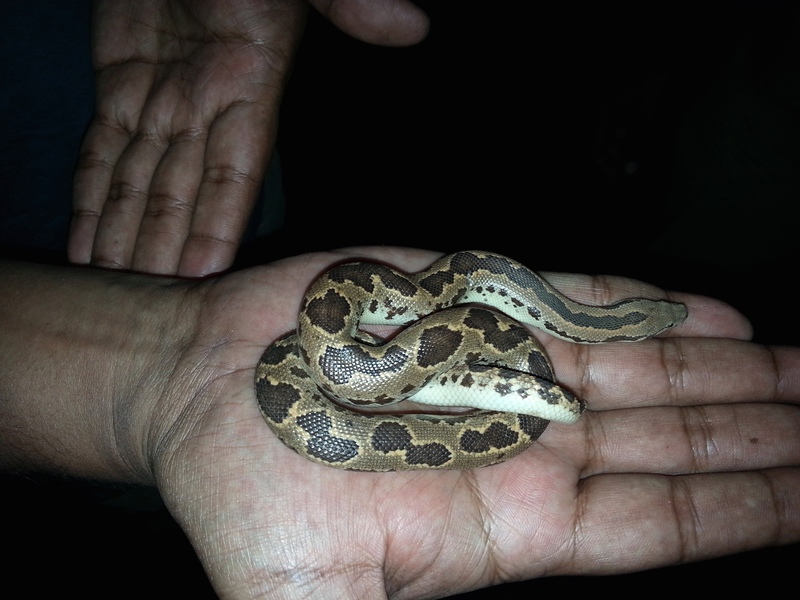 Inspector SE has a staggering range of interests including trekking, parasailing, paragliding, snake rescue, cactus cultivation, gardening, philately and offroading. Prior to the trip, VR had contacted the inspector to see if we could get some local guiding help. Finding that I was missing the bins, we contacted inspector SE again and he was kind enough to offer to lend us his for the duration of the trip. We therefore dropped by the police station in the morning to pick up the bins, when the inspector asked us if we’d like to join him for a spot of offroading. We then ended up spending time until a very late lunch being bounced over rocks, ditches and other tyre-shredding obstacles. In the searing heat. It was spectacular fun nonetheless. 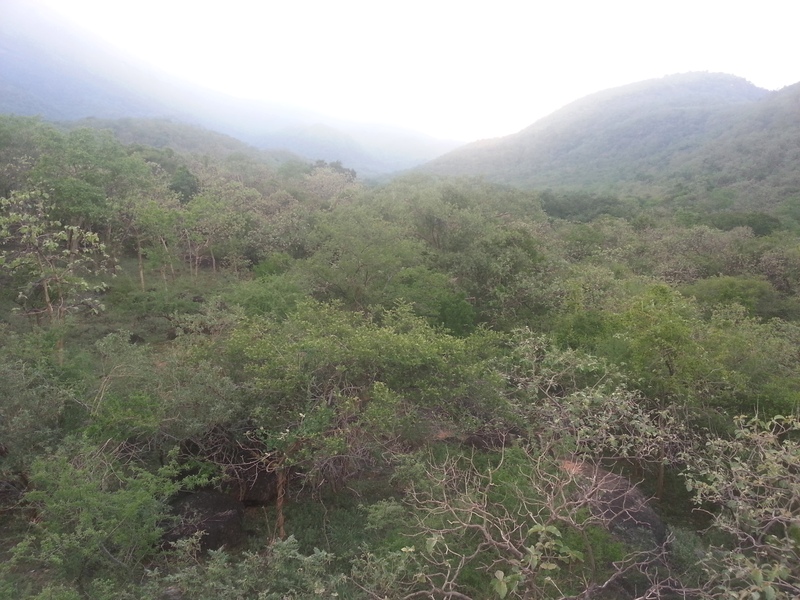 We then picked up the borrowed bins and headed for the Mundanthurai Range Office via Ambasamudram and Papanasam, and the amiable ranger there agreed to put us up (in the ‘Panther cottage’) for two nights. 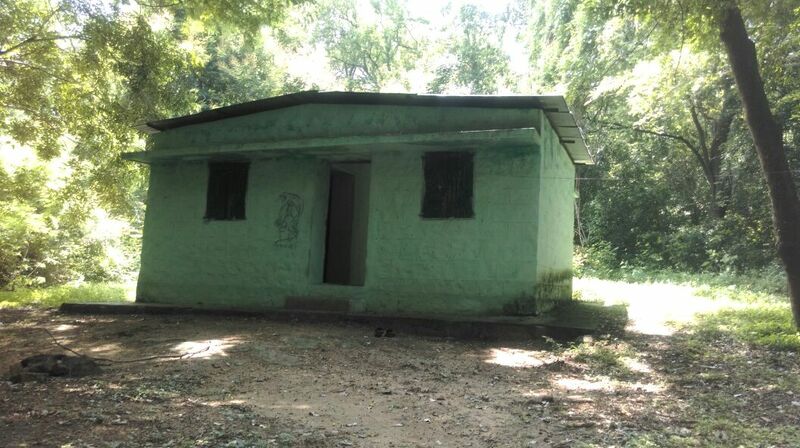 The Mundanthurai range office is sited about ten kilometers inside the reserve. The road forks from here with one prong leading to the Servalar dam about seven kilometers away, and the other to the Karaiyar dam, also about seven kilometers away. The reservoirs of these two dams are linked by a massive tunnel three kilometers long – to equalize water levels. About halfway to the Karaiyar dam is a road that branches off to the Sorimuthu Ayyannar temple; and this draws a considerable pilgrim crowd. We covered the Karaiyar and Servalar roads several times in the mornings and evenings, with no significant sightings. Junglefowl called in alarm at a couple of places, most likely triggered by our presence. Since driving on these roads is banned after dark, we took a public bus on impulse at about eight thirty in the evening, to Karaiyar and back. The driver spoke of leopard and sloth bear sightings almost on a daily basis on this stretch, but we had no such luck. GK spoke to some tribals employed as watchers and they recommended driving along the Servalar route early next morning to look for leopards. Again no luck. However we saw Jungle babbler, White-headed babbler, Common iora, Black eagle, White-bellied drongo, Tailor bird, Ruddy mongoose, Brahminy kite, Brown-headed barbet, Grey junglefowl, Tufted langur, nightjar (possibly Savanna) and peafowl (the latter being especially numerous all over the lower ranges). And heard Common hawk cuckoo and coucal. We also spotted a malkoha-like bird which I am unable to identify – it appeared dark with a white terminal band on its tail. In the waters of the Karaiyar dam was a swimming herd of buffaloes – I initially assumed they were domestic animals, but a tribal watcher later told GK they were wild – perhaps a feral herd. An Indian scops owl called persistently after dark around the FRH without us being able to spot it. Sambar belled once in alarm late in the evening. Incidentally, we saw no chital, wild pig or gaur in the course of the whole trip. Just the occasional sambar. The scanty prey base probably explains KMTR’s low tiger density, at least in the areas we visited. However leopards are reputed to be met with commonly (langurs, macaques, peafowl and junglefowl abound in these forests). Elephants are small in number. Dr. Johnsingh attributes this to the scattered and sparse presence of their food plants, and to the mountainous terrain. 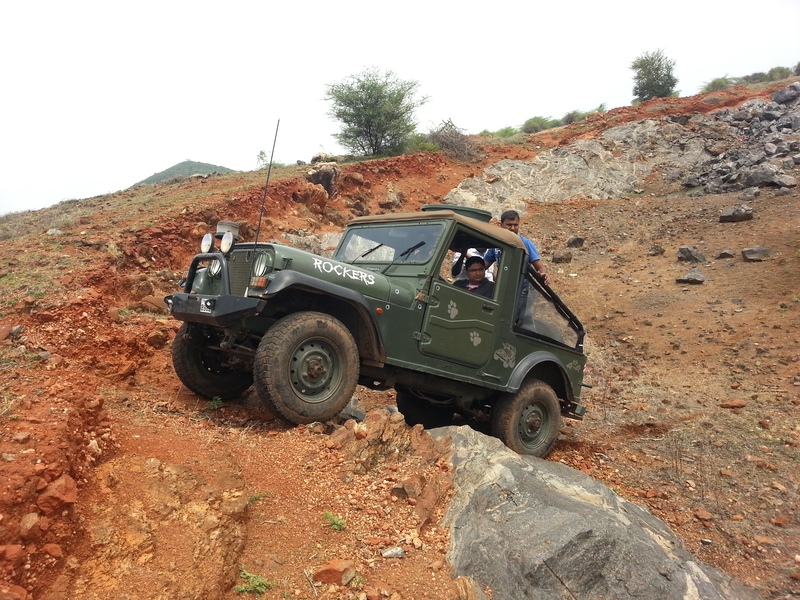 From the Servalar dam, there is a rough road which leads to the Kodamadi FRH, three klicks away. Again a highly restricted route that we couldn’t get permission for. This FRH nestles in another wild spot and has a great reputation. View from the Servalar dam. 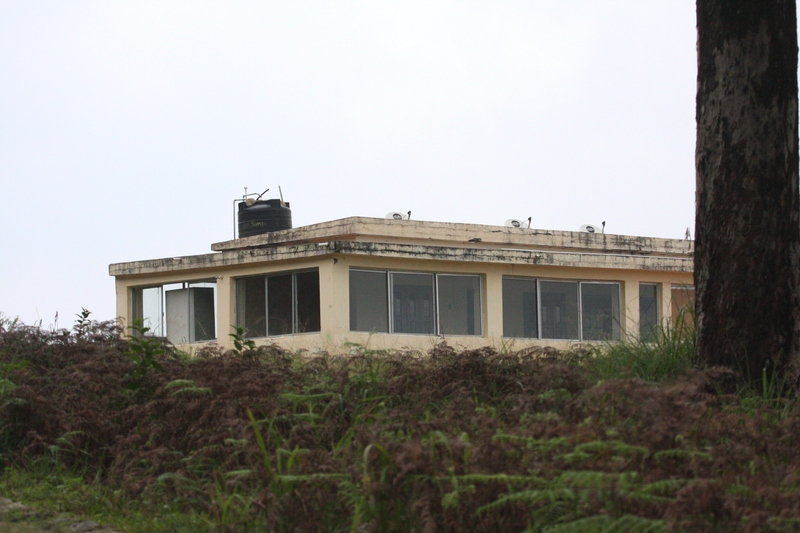 The Kodamadi FRH is sited somewhere around the conical hill. The ranger – Mr. I – became very friendly with us once he realized we were there with a serious wildlife interest and not as casual tourists. He chatted transparently and disarmingly about his profession, and about forests and their management. 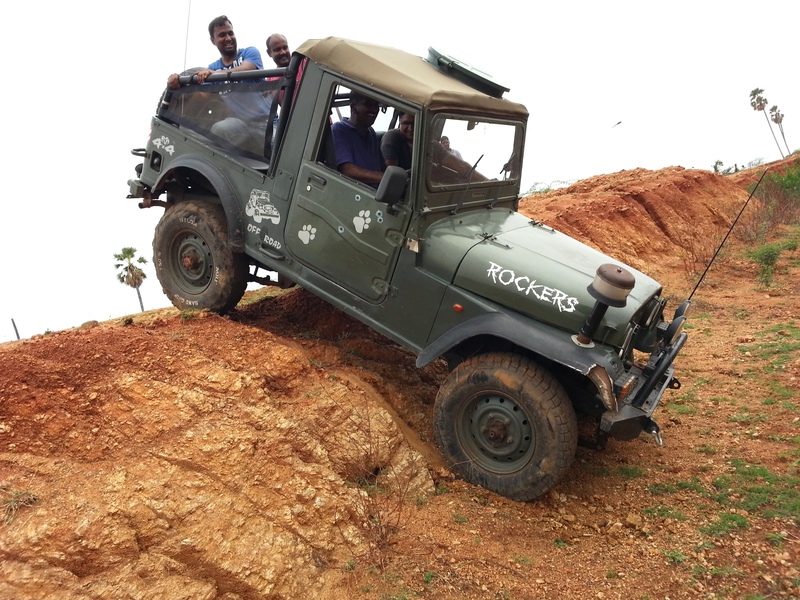 On day three, we finally got permission to drive upto Kuduraivetti, thanks to Ranger I’s intercession. Access to this place is heavily controlled, with a quota of five vehicles permitted daily. And all visitors are required to exit by 6 PM, with no overnight stay allowed either in the FRHs or in the estates. 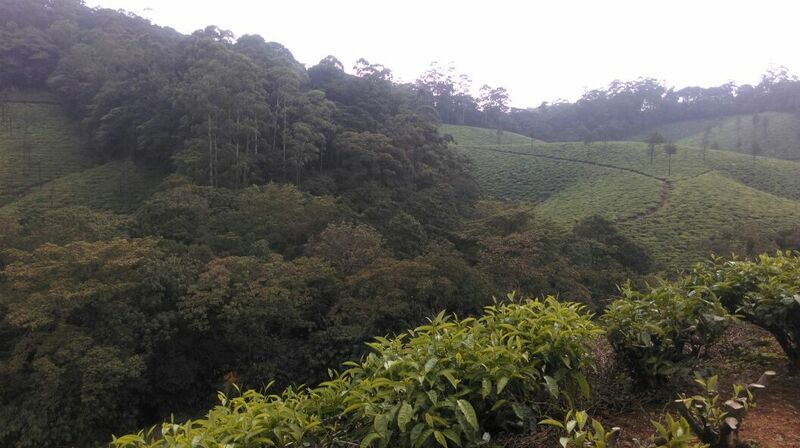 After crossing the Manimuttar dam, we climbed steadily to reach tea country and a string of estates leased to the Bombay Burmah Trading Company. Manimuttar dam is crowded with bathing visitors, but hardly anyone is allowed beyond this. Beyond lie Manjolai estate – Manimuttar estate – Naalumooku estate -Oothu estate and finally Kuduraivetti, in sequence. The drive took a good three hours and we spent a few minutes at Kuduraivetti chatting with the watcher on duty before turning back. 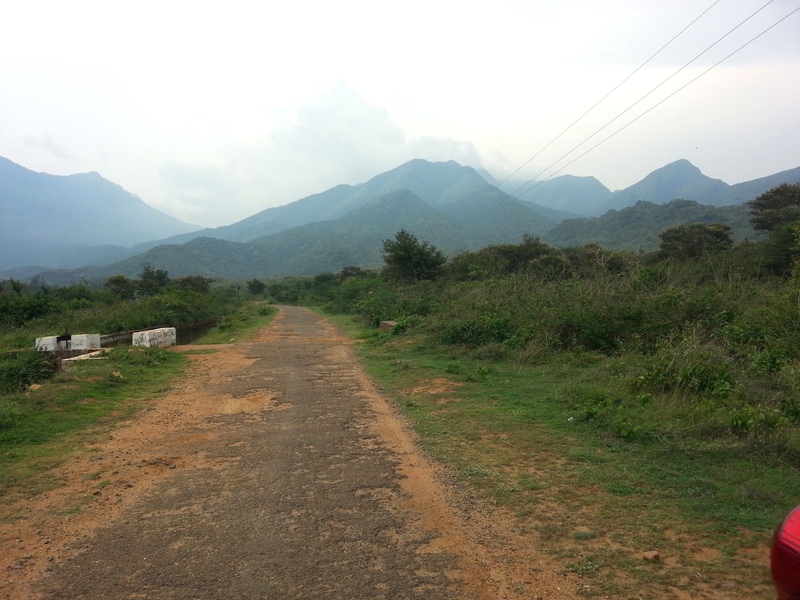 From Naalumooku estate, a road branches off to Upper Kodayar and Kakachi – places we badly wanted to visit. But again, these were out of bounds. Two famed birds – the Broad-tailed grassbird and White-bellied shortwing are reputed to skulk around those areas. We kept an eye out for the Southern birdwing – our largest butterfly – having been told that it was a common sighting on this route, but it is not easy to spot butterflies whilst driving through winding hill roads. 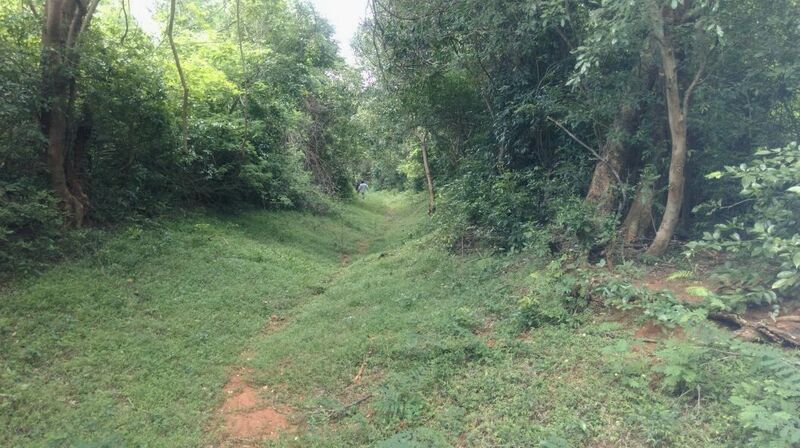 Between the estates are stretches of lush evergreen forests. It is a beautiful drive. A brace of Painted spurfowl went scurrying off the road. Flamebacks and Asian fairy bluebirds called repeatedly without showing themselves. Ashy wood-swallows flocked on an electric wire. 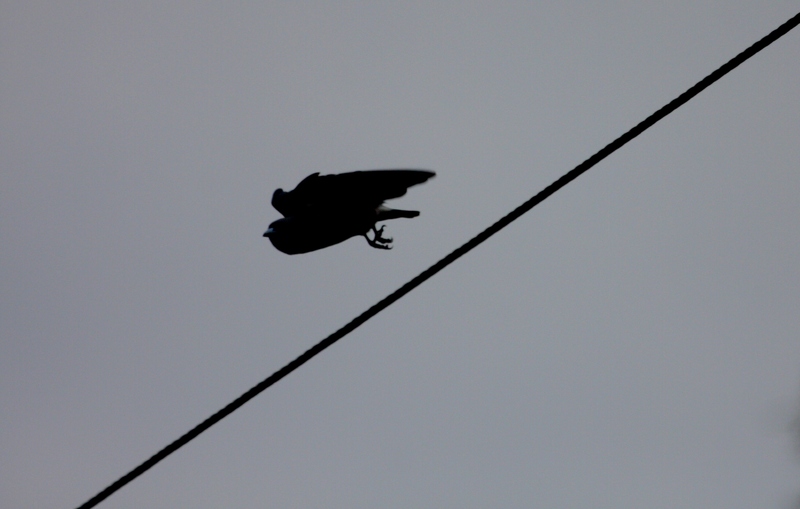 A solitary Racket-tailed drongo went sailing across the road. We also saw a solitary Green imperial pigeon. And small flock of Black-throated munias on the way back.A shikra was perched near the Manimuttar dam. 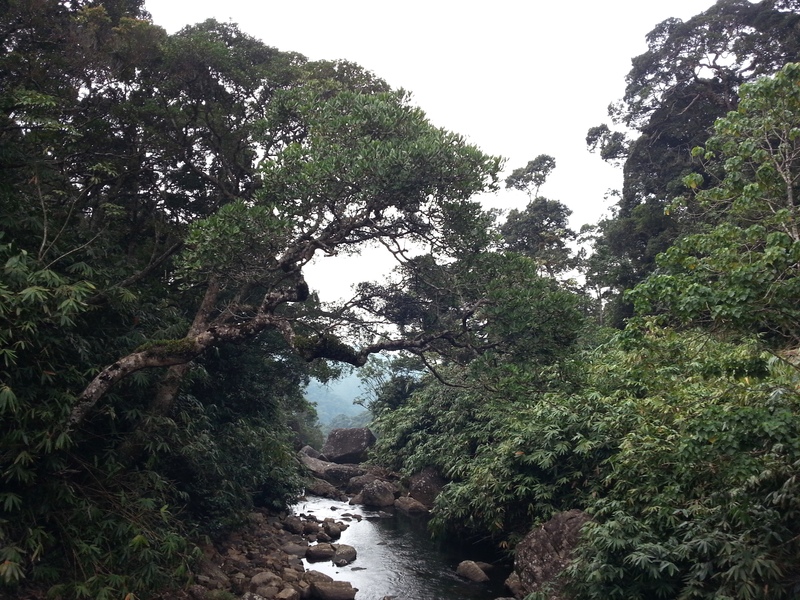 The estates were alive with noisy Red-whiskered bulbuls and Tailor birds. Besides streams at elevation were great clusters of Ochlandra reedbrakes (Ochlandra travancorica) – an endemic we were looking for. 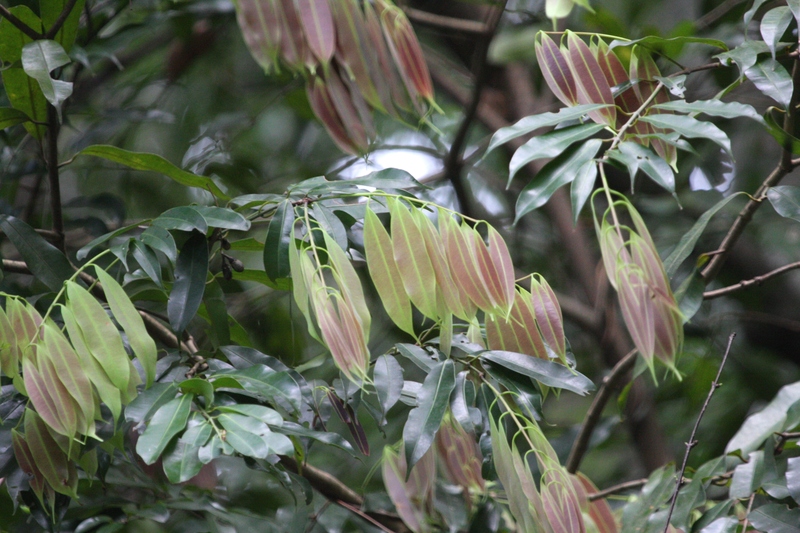 And plenty of Messua ferrea – a plant common to the W Ghats and the Himalayas – however these were not in bloom. 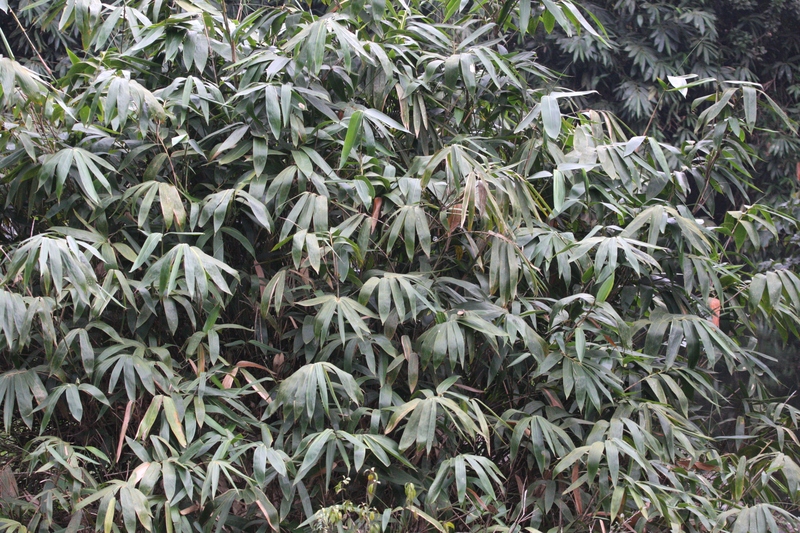 GK pointed out Fern trees – Filicium decipiens – which were plentiful in the forest. Ranger I had encouraged us to visit an orphanage and speech-and-hearing-impaired childrens’ home near the Kadayam range run by the Gandhigram Trust. He felt they were doing great work and needed all the encouragement they could get. 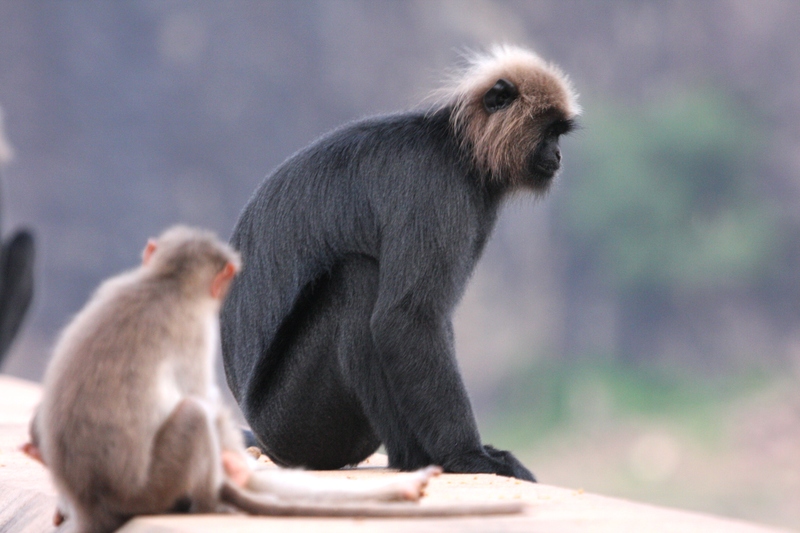 Perhaps as a sort of inducement, he also promised to send us trekking up the Kadayam range with a watcher to guide us. And so there we went on the last day. 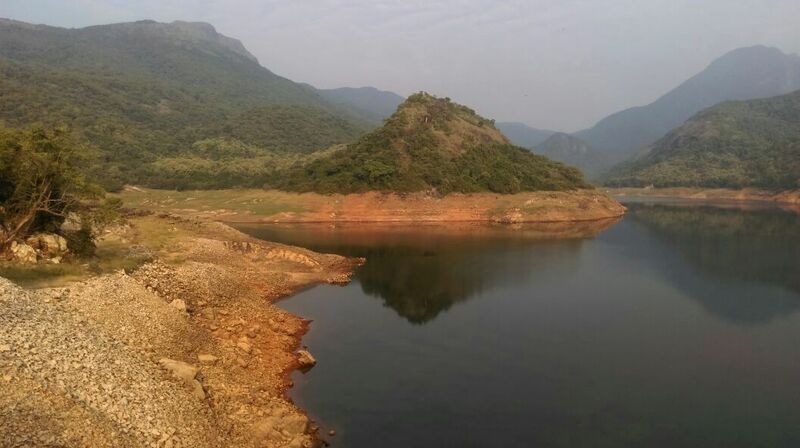 The Kadayam range begins from the Sivasailam dam and drab, hot countryside sparsely dotted with Indian palm and Prosopis juliflora abruptly transforms into lush evergreen forest. A trek of four kilometers from here brings one to the Korakkanadar temple. The path up was choked with pilgrims visiting the temple. We rested for a while in a tiny FRH that nestles just above the temple. The path carries on from this point for another thirty kilometers until it reaches another temple, but access is restricted owing to elephant and bear presence en route. And there is no FRH at the path’s terminus. Mohammed Ismail the watcher who accompanied us then brought us back through another route, this a restricted and therefore blissfully undisturbed one. And a pretty route at that. 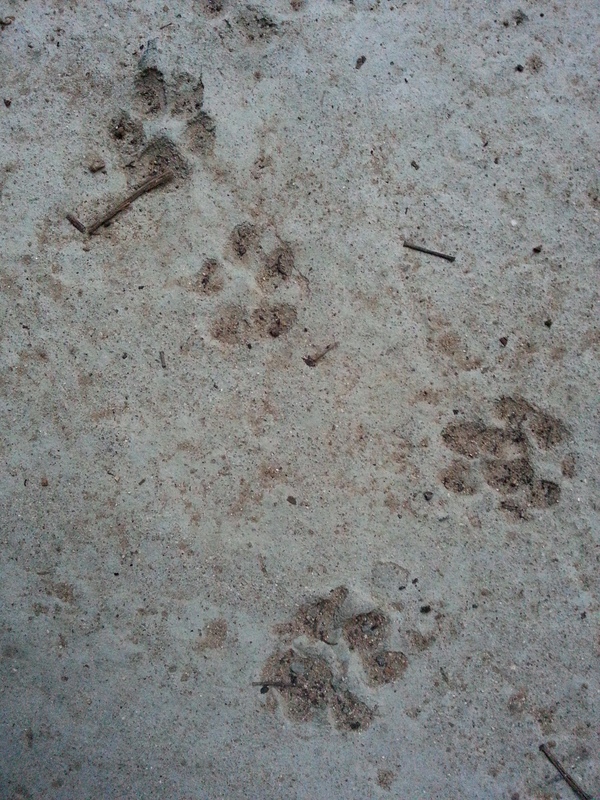 Elephant droppings were occasionally seen but signs of sloth bear were everywhere – by way of dug and scraped ground. I should add that after the strain of the day’s activities, we were fairly drained and the daunting 600 kilometer overnight drive back through steady rain and horrendous traffic is not something I’ll remember fondly. I was pretty much done in when I reached home at about three thirty in the morning, after successfully having avoided falling asleep at the wheel between Salem and Bangalore. (VR who is evidently incapable of exhaustion drove the Scorp until Salem, and then drove GK’s car all the way to Chennai through the night). Here’s the list GK and I created prior to this trip. AJT Johnsingh’s Field days was of great use in compiling this. Some of these are so rare that we didn’t have a prayer of a chance of actually encountering them, but we got them on the list anyway. In any case, considering that we were mostly confined to the foothills, this effort came to naught and we saw just a couple of these candidates.